As a phone maker, Motorola is now far from being in its glory days. Gone are the times when Moto was selling millions of Razr clamshell phones per month, or the times when the company was at the forefront of the Android revolution with its first-generation Droid smartphones. Currently, Motorola is an also-ran in the smartphone race, though this doesn't stop it from trying to "transform mobile" with new devices that will be announced in June. We think that this is a good time to look back at Motorola's very first smartphones, which were released over a decade ago - thus, many of the young smartphone users of today certainly don't know about them. First, though, a bit of recent history: In early 2011, Motorola split into two independent companies: Motorola Solutions and Motorola Mobility (which remained in charge of making and selling phones). Later that year, Google bought Motorola Mobility, only to sell it to Lenovo in 2014 (though Google retained most of Motorola's impressive patent portfolio). So the Motorola Mobility of today belongs to Lenovo, but it's still run as a somewhat independent company. very first smartphones made by Motorola were the A920 and A925. While their exact release dates seem to be lost in the midst of time, we know that the A920 was launched in early 2003, and the A925 was introduced towards the end of the year - in the pre-iPhone, pre-Android era. The two handsets had a relatively similar design, running the now-defunct Symbian OS (the UIQ variant). For many current smartphone users, the Motorola A920 and A925 probably look weird with their small screens surrounded by too many buttons, their external antennas, and their overall bulkiness. Nevertheless, these were among the most advanced handsets of 2003, featuring 3G connectivity (a rarity for those days), VGA front-facing cameras for video calling, resistive touchscreen displays with 65k colors and 208 x 320 pixels, and stylus pens (these were necessary, as resistive touchscreens have never been finger friendly). A-GPS and Bluetooth were on board, though Wi-Fi was not included. The Motorola A920 and A925 were powered by 168 MHz singe-core TI OMAP processors, offering internal memories of 8 MB and 12 MB, respectively, plus pre-installed 32 MB SD cards. Overall, the two devices were able to let you do plenty of the things that current smartphones are offering (browsing the web, email, listening to music, etc), though obviously in ways that we'd now call frustratingly slow, or cumbersome. Did you know anything about Motorola's first smartphones? Maybe you've owned one of these? Let us know in the comments! HP palm pre could could have been really nice, it was also based on linux. Nokia's n900 and n9 also could have been a product for.the niche market, they could have just add support for Android app apps, which would have solved the "lack of apps" problem. I want Nokia communicator 2016 edition. Aahhhh good old Symbian father of all modern mobile OS's! During 2003, prior to the release of both Motorola A920 & Motorola A925 which run Symbian OS v7.0, the Motorola A760 which was running a version of Linux was also released. Saw "Symbian OS" after such a long time. So much soothing to the eyes. ^_^ Thanks Florin T.! I had the A1200, the firts time I saw it I was like "WTF is that? ", then I investigated a little and found out that it was a great phone. Great aesthetics, many functions, was my first smartphone and one that stayed with me the longest time. The first android devices were already comming from important brands, but none was appealing enough to make change my MotoMing... I was sad that I got robbed and the phone went away. Not the first but I had an E815. That thing was a tank and amazing. I was so excited because I could listen to music on it...lol. I kept it as an mp3 player when I upgraded. 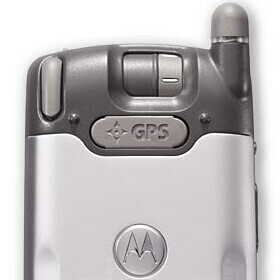 I skipped the RAZR craze and its ironic that at that time Motorola was on the brink of collapsing. I just thought the phone was too thin. Android owes much of its early success to Motorola and Motorola was able to live on, survive thanks to Android. Its sad that Moto and HTC let Samsung run away with huge success with Android. Maybe they both can rebound soon.